Plot: A little elephant with big ears learns what it means to be special. Disney's Dumbo is a wonderful and yet beautifully executed movie thats filled with emotional scenes that still gets to me today. This is Disney at it's best. Full of charm, but also has it's share of sad and weird moments. It's odd and contains many memorable characters. 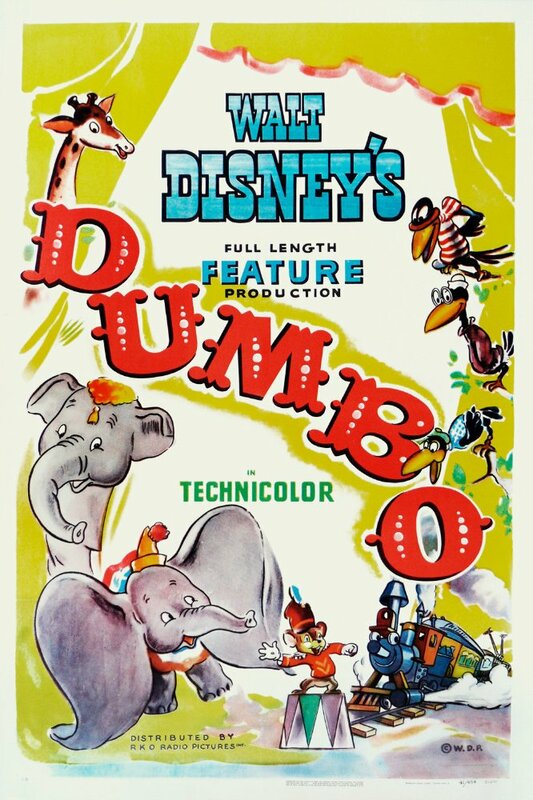 �Dumbo� has one of the most interesting histories of any Disney movie. Apparently Walt Disney didn�t want to make it, but after they talked him in to it, it became his favorite film he ever made. There were many problems making the movie, including the lowest budget for a Disney animated feature as well as an animators� strike. No posts have been made on this movie yet. Be the first to start talking about Dumbo!